Swirls of green tones with love heart clover graphics and glowing circle lighting effects combine in this free vector download. Beautiful artwork perfect for your Irish themes, desktop wallpapers, custom smart phone skins and colorful digital printed banners. Download stock image file for to create Ireland inspired graphics, Irish nature templates, Saint Patrick’s Day celebration borders, lucky shamrock clip art or traditional plant designs. 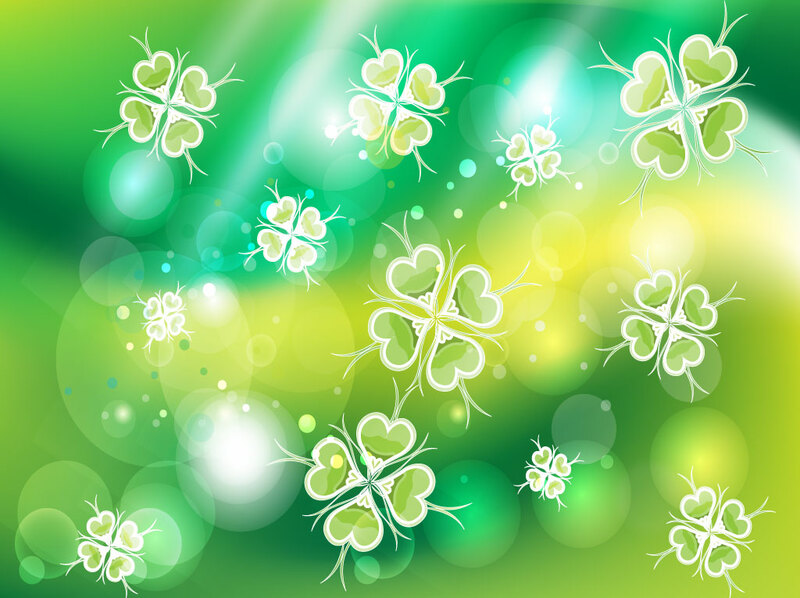 Tags: Holiday, Ireland, Irish, Leaf, Lucky, Patrick, Shamrock, Shiny, Traditional.